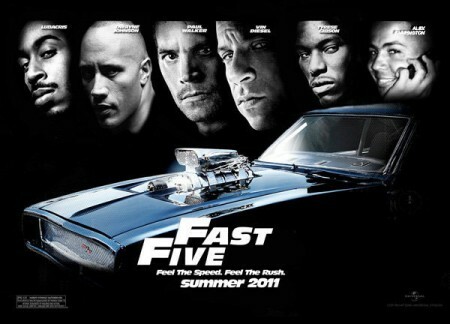 Fast five, the latest movie in the Fast and Furious movie series comes out at the end of April. As much as a fan of the series I am, the 1st movie, Fast and Furious is on my top 10 movies list and I’ve watched it at least 10 times, this post isn’t about the new movie. No, the “fast five” I’m talking about is it being a fast five years for me in terms of postsecondary schooling. I’ve been in post secondary for five years, 4 in college and 1 in university thus far, with 1 1/2 years left to go. This has been the fastest year to date as well. I confirmed this by talking to my peers who are also in school. So what has happend during these 5 years in post secondary? Lots. But I’ll try to sum it up best in 3 major areas: school, work, and love. I graduated high school without a clue of what to do. Well I had one clue. I didn’t want to go to university to do a 4 year degree in Poli Sci or English, something very general and I was barely interested in. So with that in mind I turned to Algonquin College. Didn’t know much about the school, or that we even had a college in Ottawa to be honest. But I went into General Arts and Science, the pre-media stream, a 2 year program, and decided to try it out. Two years of pre-media ended up being one year. Because in pre-media, specifically in media dynamics class, I chose to do my major project on PR. A passion was born and I was outta there. For the project, I interviewed the communications director at Casino Lac Leamy and a woman (who has been a helpful mentor to me to this day) that runs her own PR firm downtown. I learned more about PR as a profession and career and since it also so happened that Algonquin had a PR program, I took the test and got in to start the PR program for the next year. It was supposed to be 2 years of PR, but ended up being 3 (7 classes/semester and too much fun I guess). Which was fine because it just so happened (I’m a lucky guy if you haven’t noticed yet) that UOttawa created a PR program the year I finally graduated Algonquin. Sweet. I could continue learning about PR, for a degree now, with my diploma in my backpocket. And here I am. Uottawa PR student. Little over a year to go. I’ve worked a lot of jobs since high school. About 8. All with a female manager or supervisor. All of them in either retail or customer service. These are the entry level jobs where you have people who stay for 3 days, 3 months, 3 years or 3 decades. You get people from all stages in their life, which makes for interesting conversation while on the job. From these conversations I was able to learn a lot though. By taking other people’s views and opinions and compairing them to my own perconceived ideas, I discovered I was way off on some things, bang on with others, and perhaps had to think more on certain things. Overall, these conversations increased my knowledge of the world around me and for that I’m greatful. However, sometimes I wonder if all the job changes were necessary. I left jobs, quit jobs, got fired from one job. But in the end, looking back at where I am today, it was necessary. I’m really one of those people who believes everything happens for a reason. The jobs I liked I held down, starting with my first job at a major department retailer and with my current job at the government. The ones I quit, where not important as I had already secured another job. And the job I got fired from, I decided that talking to my friend was more important than working. It was with holding down my first and current job though, is where I felt I’ve learned the most. Because as you grow older in an organization, other moving parts (like co-workers from different stages in their life as I mentioned earlier) come on board and you have to adapt and adjust to this newly created work environment. As well, you might get added roles, responsibility, and more pressure. So with those challenges, I’m glad I’ve lasted this long in my current job and ready for the new opportunites that await. Love can be mushy. Let’s try not to make it that way. However, thats probably impossible. Looking back on my “1st love” (so lame writing like that) it was crazy all the things we got into. Being young and in love applies here. Being in love you grow, learning more about your needs and your partners. After 2 years in a deeply commited relationship, I decided that this was not the way I wanted things to go in terms of my needs. The future looked very cloudy. So I left and moved onto something different. That something different was very different but just as exciting as the 1st love. You have to agree, that the beginning of a relationship is the best time. You’re full of excitement and the possbility of what can happen is pretty much wide open. Possibility is the positive word in a new relationship but sometimes another p word, problems, becomes something that you can’t escape. Romantic relationships are tough to say the least. Saying they are rough is probably better. However, it’s all in the way you handle them. In my 5 years of being in romantic relationships, I’ve always been extremely honest. To the point where I have a clear conscious and know I didn’t fool myself or lead on my partner for the duration of the relationship. I’m not a big fan of being in a relationship for the sake of being in one. Over time, I think that in your 20s as you have love for someone and as you mature, you run into the decision of how you want to make it all function along with school and work, so everything can co-exist in a beneficial way for you and your partner. I have a lot more to say these 3 areas (school, work, and love) for y’all. Stay tuned this summer. It’s been a fast five. So many lessons learned in school, work, and love. Makes me feel old. I’m more knowledgeable than the 18 year old kid who stepped out of a clicky, abnormal social envrionment, into a world with endless possibilities though. That is probably the greatest thing about today. In all 3 areas, there is limitless potential. I just hope the next 5 years are as good as the last 5. And that they go a little slower.